This may be the ultimate teacher hack. You know how when you teach, you have to write and rewrite notes 1,257 times? Your hand gets tired, and your writing starts to resemble someone who’s had too much wine (which you, for the record, have not). We have the greatest solution: printing on Post-its. We put together four teacher templates that we hope you steal, including observation notes, rubrics, and a writing checklist for your students. Get the full set of Post-it templates here. Take a look at our video to see just how easy it is. Use the blank template as your guide for printing. First, you’ll print the blank template. Then, you’ll line up the top of your Post-it notes at the top of each box. 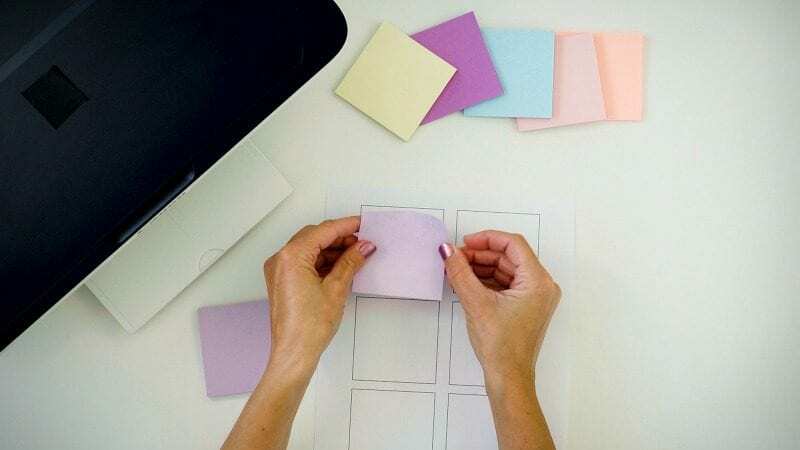 Now, you can use the template on your computer to type in whatever you want onto each Post-it note! You can automate your attendance list, lunch count, or classroom library checkout. You can even print out your lesson plans on each note and stick them right in your planner! No more messy handwriting, cross outs, or tiny writing to fit in the squares. Try our observation notes as a quick way to track student progress. Are you using The Daily 5, guided reading, or small math groups? 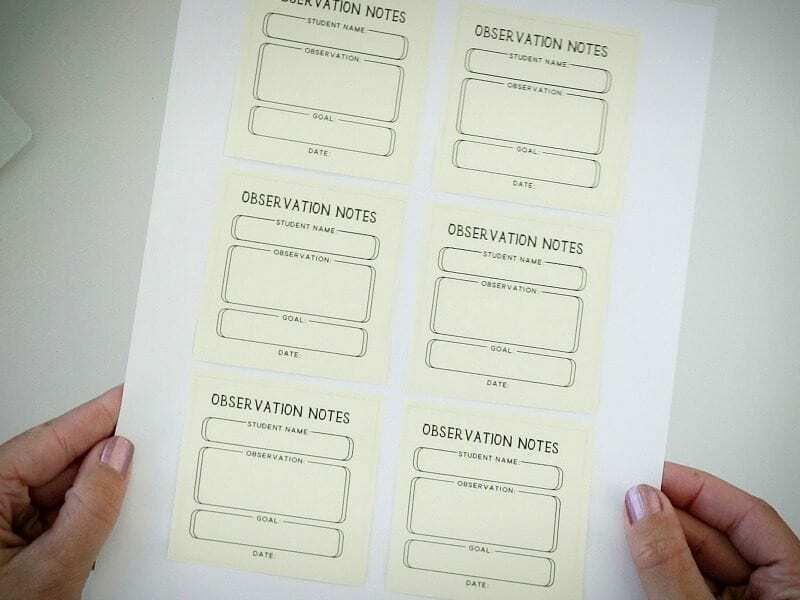 Use this observation-note template to streamline things in your classroom. Print rubrics for your students to use. 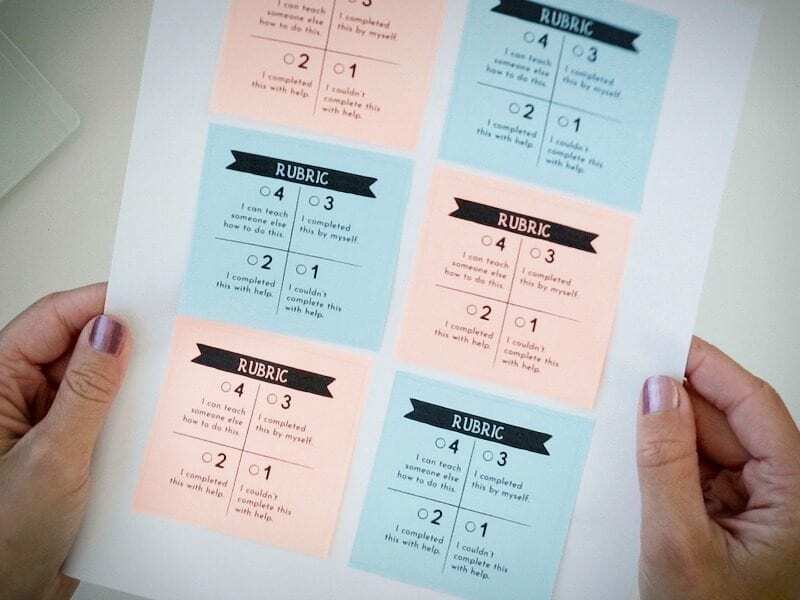 Using rubrics regularly is a great way to help students employ a growth mindset, and printing on Post-its makes it easy. 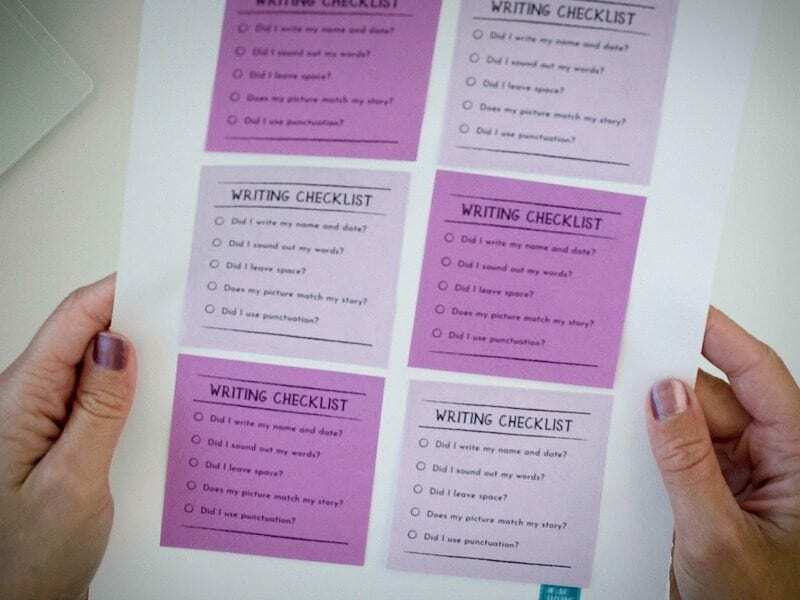 Kids can grab a rubric Post-it and stick it on any assignment for instant self-assessment. Use the writing checklist to help with metacognition. Checklists are more than just a way for students to stay organized and on task. These Post-it notes can help students develop metacognitive awareness of their own learning process. Our frequently used Post-it templates can fill in the rest! 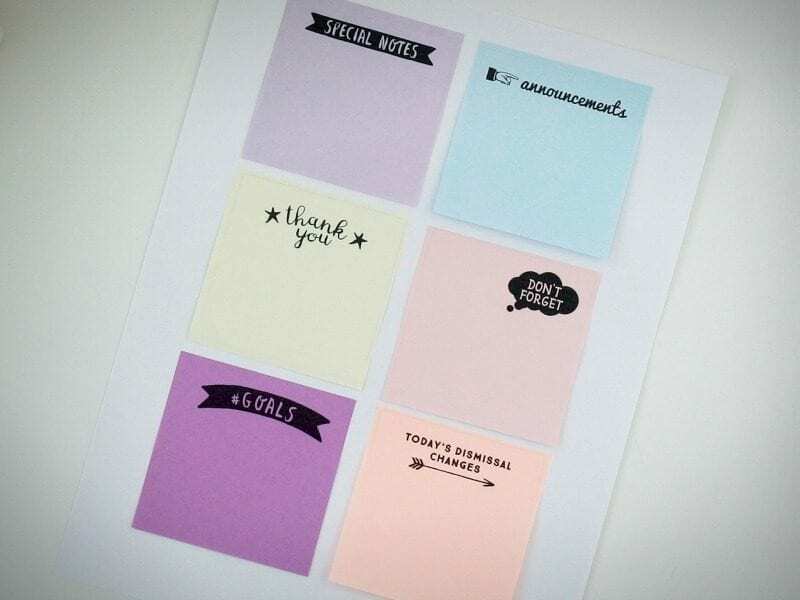 Use these fun sayings and common-phrase Post-its to get your work done with flair! These Post-its are great for your announcement board or personal clipboard.